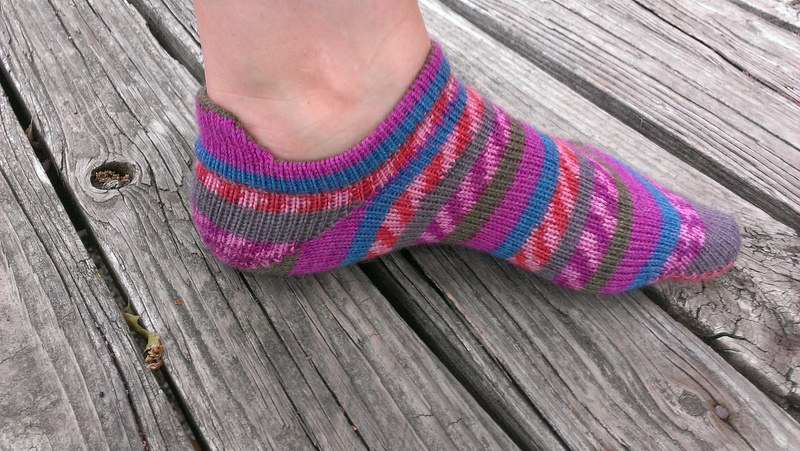 I have started cranking out some socks again. 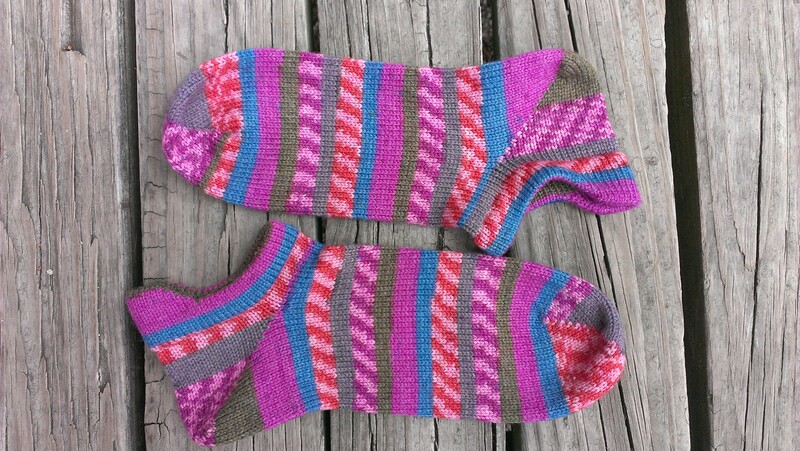 Above is a pair I knit for me out of Berocco Sox Corib. Now I am working with my warm German sock yarns that you can see pictured below. I bought some some collections, so they will have similar patterns within the collections, but different colorways. Some are very bright and some are more subdued and conservative. (Plus I have a new colorful collection of Opal Potpourri yarn on the way and will post those pics as soon as they arrive.) 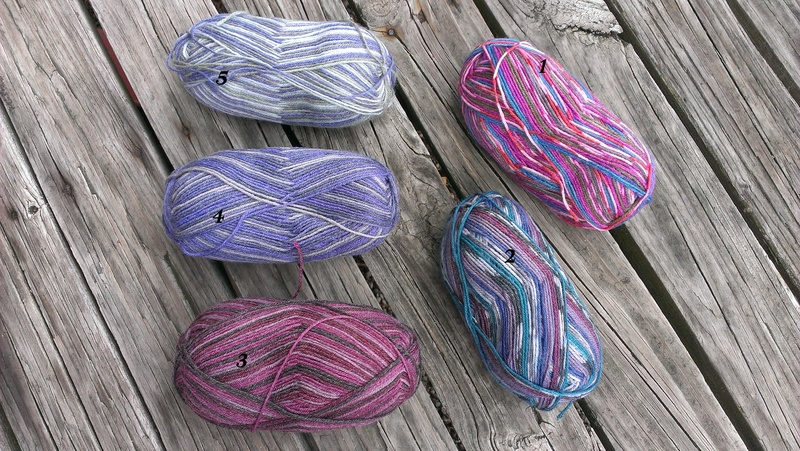 If you want a particular size and colorway, let me know and you can choose from the sets below. Normally $28 a pair but friends and family can order a pair for $25 (if paid by cash or check (ladies sizes) until the day before Thanksgiving, Wednesday November 25. I can usually have them ready within a week but will let you know if they will take longer. Shipping is not included. Men’s sizes will take longer since I want to get the ladies sizes knit first. I need to switch out cylinders re-set the machine for a larger foot size. That all takes time and I prefer to knit as many as I can on one cylinder before switching it out.) Extra large men’s feet (above size 12) may cost more if I have to use more than one ball of yarn (in that case heels, toes and perhaps cuffs will need to be knit in a solid coordinating color which I have to buy). Send me a message through the contact form here or on my Measured Threads Facebook page if you want some. I am selling some of my handmade items at the upcoming Fiber Arts Sale at the Weavers Guild of Greater Cincinnati. The sale begins Friday, November 13 at 4 p.m. and continues on Saturday from 10 a.m. to 4 p.m. and Sunday noon to 4 p.m. 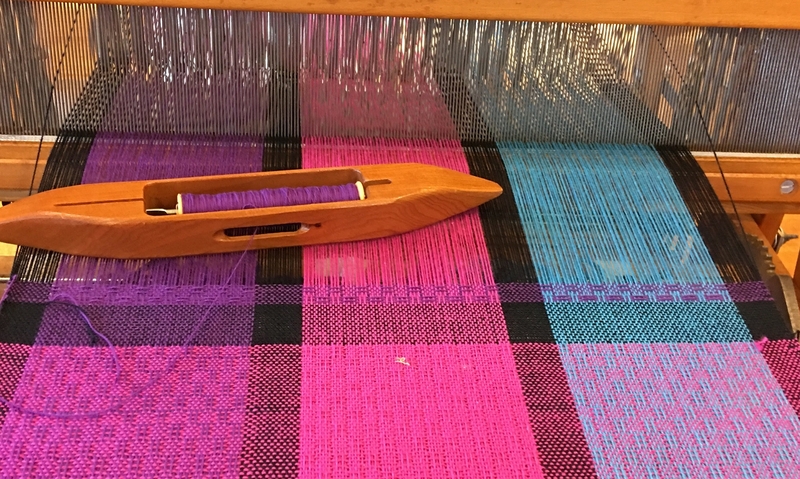 The work of many skilled artisans of the guild will be available to purchase for yourself or for Christmas gifts that show you care enough to give hand-made. My cowls that are pictured here are hand-knit with luxurious merino wool hand dyed in Uruguay by a family business (Malabrigo Yarn) that hires local women, uses environmentally friendly dyeing practices, and sources the wool from non-mulsed sheep that are shepherded in the hills of Uruguay. They are a warm and cushy fashion statement. If you can’t make it to the sale, contact me about knitting one just for you! Some of my indigo dyed, shibori style cotton napkins are also in the sale. They are priced for sale in pairs so that you can make a set of 2, 4, 6 or more, and each napkin is unique. Indigo is a classic color and shibori-inspired fashion and home decor items are really trending right now. They sure make a for snazzy table at a dinner party or just for you family meals. I have a dye day coming up and can make more napkins, along with generously sized silk scarves that flatter everyone. 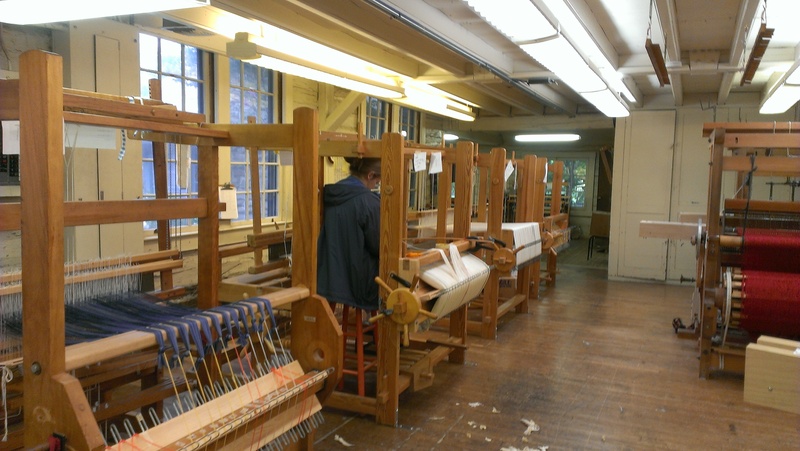 I also have submitted handwoven cotton and linen towels to the sale. 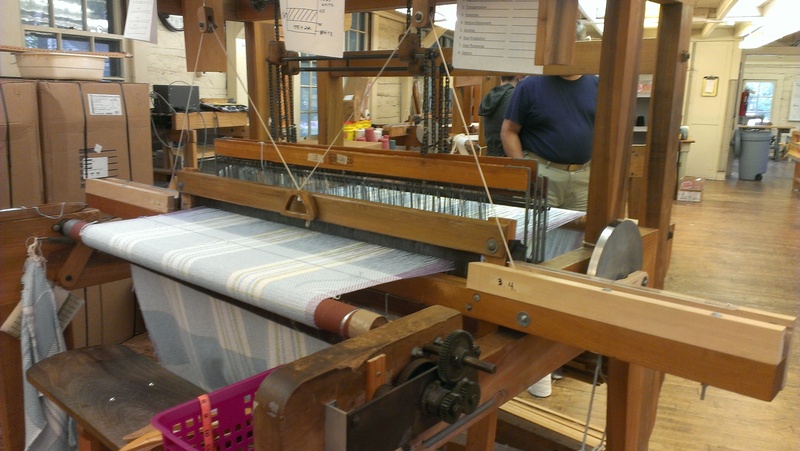 The warp is ring spun natural cotton and the weft is a blue cotton/linen blend. 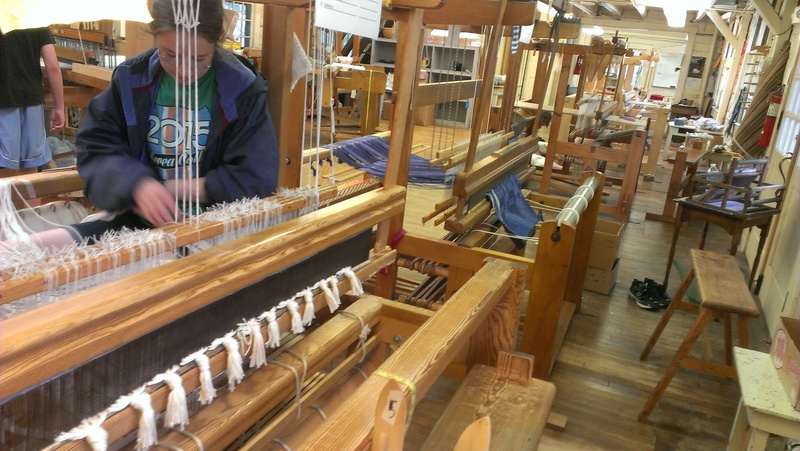 Each has a unique weaving pattern. They are individually priced, so you can buy one, two, or all four if you get there in time! Want to commission a set of towels for a gift? Contact me and I can make something similar to meet your needs. 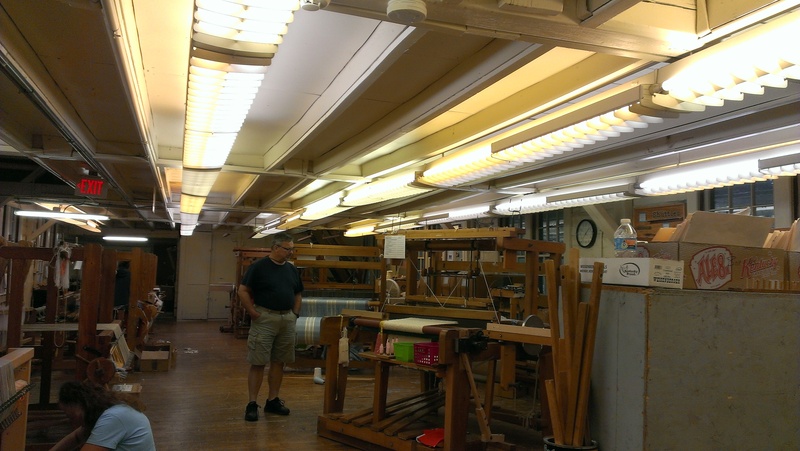 The Weavers Guild is located at 480 Gray Road, near Spring Grove Cemetery. I’ll be there from 4-8 p.m. on Friday evening. Get there Friday if you want the best selection, there is always a line waiting to get in. 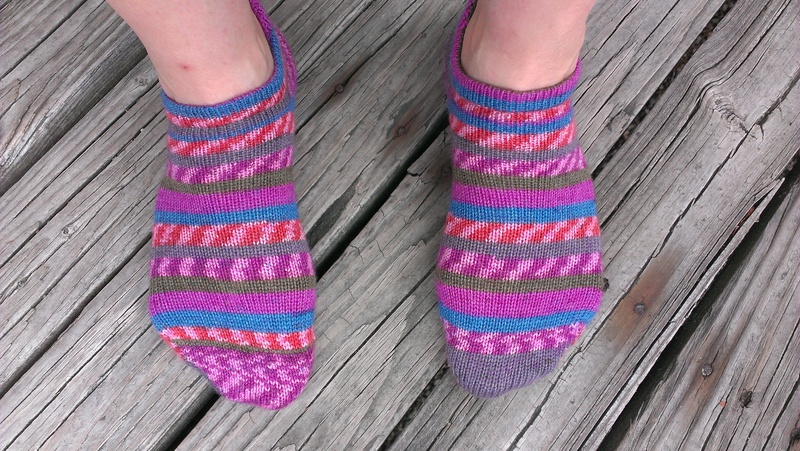 These are the socks I have knit so far this week. 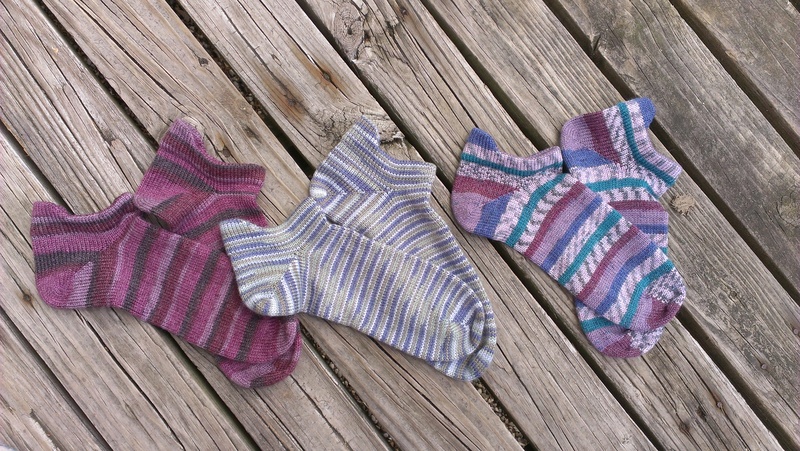 A pair for Katie on the left, and the other two pairs are up for grabs for $19 a pair. If you are interested and in town, send me a note in the contact form. They are a woman’s size 8-9. If you like the purple ones on the left, I can get more of that yarn in a couple of days.